Edward Teller was born on January 15, 1908, in Budapest, Austria-Hungary. He left his homeland in 1926 and received his higher education in Germany. As a young student, he was involved in a streetcar accident that severed his leg, requiring him to wear a prosthetic foot and leaving him with a life-long limp. Teller graduated with a degree in chemical engineering at the University of Karlsruhe and received his Ph.D. in physics under Werner Heisenberg in 1930 at the University of Leipzig; his doctoral dissertation dealt with one of the first accurate quantum mechanical treatments of the hydrogen molecular ion. That same year, he made friends with young Russian physicists George Gamow and Lev Landau, who then visited Western Europe. Teller spent two years at the University of Göttingen and left Germany in 1934 through the aid of the Jewish Rescue Committee. He went briefly to England and moved for a year to Copenhagen, where he worked under Niels Bohr. In February 1934, he married "Mici" (Augusta Maria) Harkanyi, the sister of a longtime friend. In 1935, Teller was invited to the U.S. to become a Professor of Physics at the George Washington Universitiy, where he worked with Gamow until 1941. 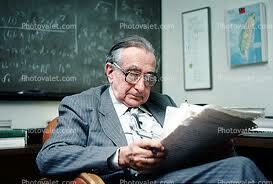 He was engaged as a theoretical physicist, working in the fields of quantum, molecular and nuclear physics. In 1941, after becoming a naturalized citizen of the U.S., his interest turned to the use of nuclear energy, both fission and fusion. Perhaps the most important contribution by Teller was the elucidation of the Jahn-Teller Effect (1939), which describes the geometrical distortion that electron clouds undergo in certain situations; this plays prominently in the description of chemical reactions of metals, and in particular the coloration of certain metallic dyes. In collaboration with Brunauer and Emmett, Teller also made an important contribution to surface physics and chemistry: the so-called Brunauer-Emmett-Teller (BET) isotherm. In 1942, Teller was invited to be part of Robert Oppenheimer's summer planning seminar at UC Berkeley for the origins of the Manhattan Project. He first worked with Leo Szilard at the University of Chicago, and in 1943, he headed a group at Los Alamos in the Theoretical Physics division. However, his obsession with the H-bomb caused tensions with other scientists, particularly Hans Bethe, the division leader. Teller left Los Alamos in 1946, returning to the University of Chicago. But when the Soviet Union conducted its first test of an atomic device in August 1949, he did his best to drum up support for a crash program to build a hydrogen bomb. When he and mathematician Stanislaw Ulam finally came up with an H-bomb design that would work, Teller was not chosen to head the project. He left Los Alamos and soon joined the newly established Lawrence Livermore National Laboratory, a rival nuclear-weapons lab in California. It was during Oppenheimer's security clearance hearings in 1954 that the final rift occurred between Teller and many of his scientific colleagues. At the hearings, Teller testified, "I feel I would prefer to see the vital interests of this country in hands that I understand better and therefore trust more." Teller continued to be a tireless advocate of a strong defense policy, calling for the development of advanced thermonuclear weapons and continued nuclear testing. He was a vigorous proponent of an anti-ballistic missile shield. He was appointed Director Emeritus at the Livermore laboratory and senior research fellow at the Hoover Institution, positions that he held until his death. Teller received numerous awards during his career, including the prestigious Presidential Medal of Freedom, awarded to him in 2003 by President Bush.